The main components are Obaideh and Merwah, indigenous to the mountains of Lebanon and said to be related to Chardonnay and Semillon. Planted between 1920 and 1947 the Obaideh vineyards are in the foothills of the Anti-Lebanon mountains on stony, chalky soils, while the Merwah vines are on the seaward side of Mount Lebanon on calcareous gravels. Yields are very low for these untrained bushvines: 15 to 25 hl per hectare. At high altitude (around 1400m) they are still on their own roots, among very few vineyards in the world of this calibre. Around 5% of southern red Rhône grape Cinsault gives the wine its subtle colour. Fermented and aged for 6 to 9 months in French oak barrels from the forest of Nevers, the wines are bottled a year after the harvest and released for sale two years later. 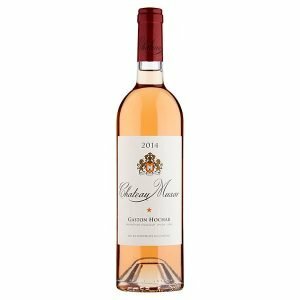 Complex and concentrated, Chateau Musar Rosé shows at its best after several hours’ ‘breathing time’, and should be served ‘cellar cool’ at 15°C. The citrusy flavours excel with canapés, olives, nuts, seafood and Provençal dishes.